There’s something about back-to-school that makes me want to jump full swing into holiday mode. I’m talking pumpkin carving, apple picking, flannel shirts, and riding boots. Plus all the fall and holiday recipes I can manage. I’m not going to lie, I’ve had cozy fall and winter flavored baking projects in mind for months. Now that I’m finally done writing my cookbook manuscript and taking all of the photos for it, I’m ready to jump head first into all the recipes I’ve had to put on the back burner. 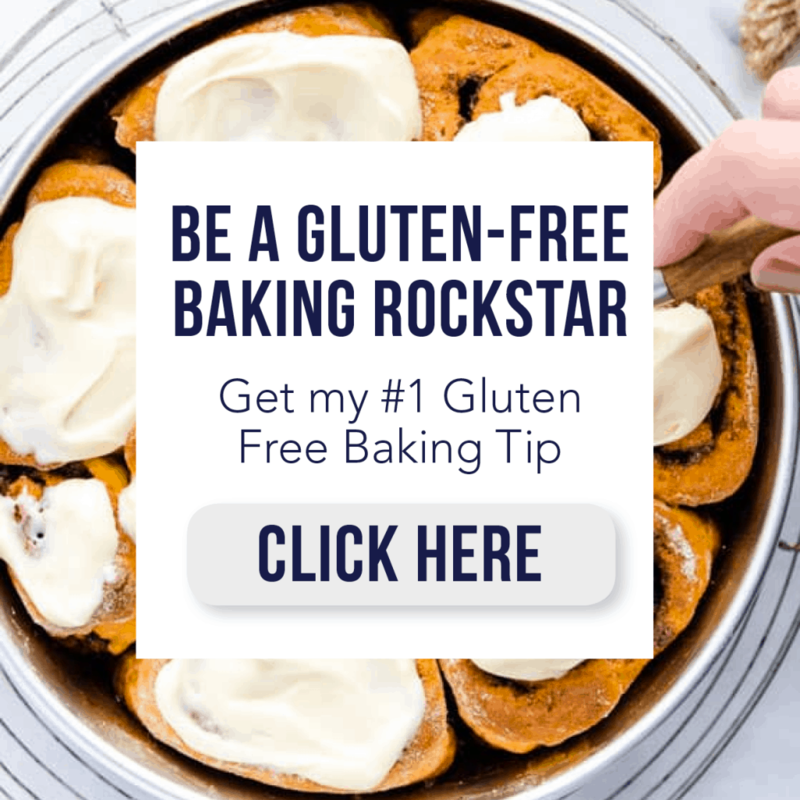 The beauty of this easy Gluten Free Overnight French Toast Casserole recipe is that it can be made any time of the year. It doesn’t have to be one of those recipes you save solely for the fall and winter holidays. Since the cinnamon flavor is so versatile and doesn’t rely on any seasonal produce, it would be great for any holiday brunch, potluck, or gathering no matter the season. 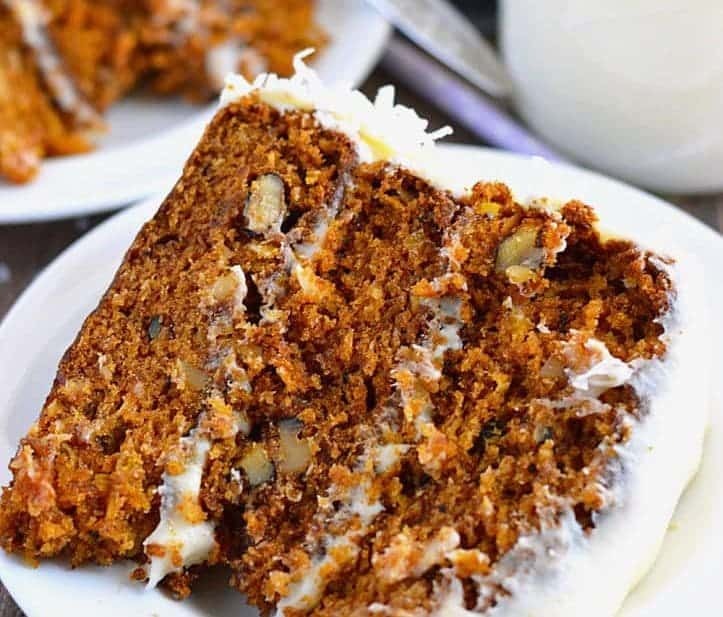 I LOVE evergreen recipes like that, don’t you?! It’s simple things like that just makes things easier and sometimes we just NEED easy, amiright? One of the other things I love about an overnight French toast casserole is that it has to be made ahead of time. If you’re hosting a holiday brunch or if you want something you can just throw in the oven on Christmas morning, this is your kind of recipe. It’s also great for meal prepping – make it on the weekend, enjoy a hot breakfast all week long! Breakfast made simple but seems fancy is my kind of breakfast for sure. 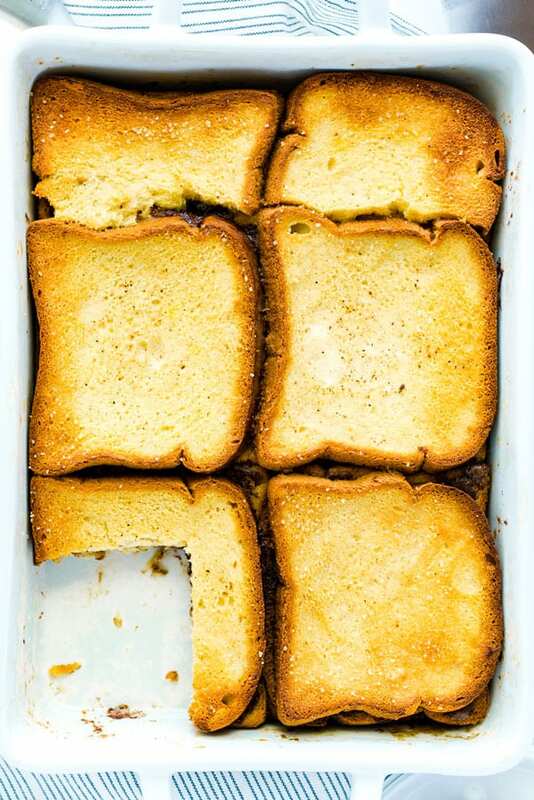 What Kind of Bread Should I Use for my Overnight French Toast Casserole? 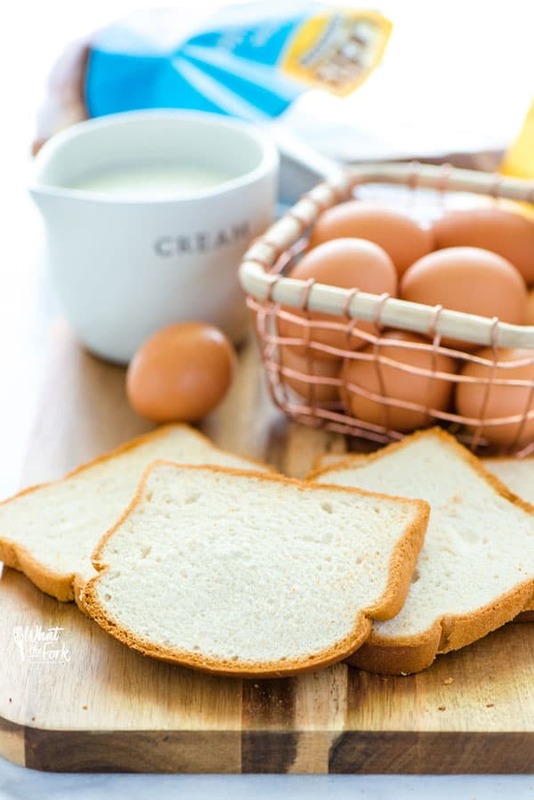 For this recipe, I used Udi’s new Delicious Soft White Sandwich Bread. I’m loving the softer texture and larger slices in the bigger 24oz. package. It makes great sandwiches (hello all the BLT’s we’ve been eating for dinner this summer! ), toast, French toast, and breakfast casseroles! So, so good. Definitely try the newer larger slices if you can find them! I used the entire 24 oz. loaf, with the exception of 1 piece. I also kept my bread slices whole except for a couple that are cut in half to fit in the casserole dish. Most overnight French toast casseroles call for cubing the bread but it’s much easier to spread the cinnamon mixture over the whole slices. Plus, once cut, it gives the casserole a beautiful layered look and you can clearly see the layers of French toast and cinnamon. If you want to try individual French toasts, try the prep and baking method that I used for my Overnight Pumpkin French Toast Muffins. Just be sure to layer the cinnamon swirl between layers of French toast. You can even bake them all up, freeze the leftovers, and reheat them as needed. Can you tell I’m into meal-prepping lately?!? 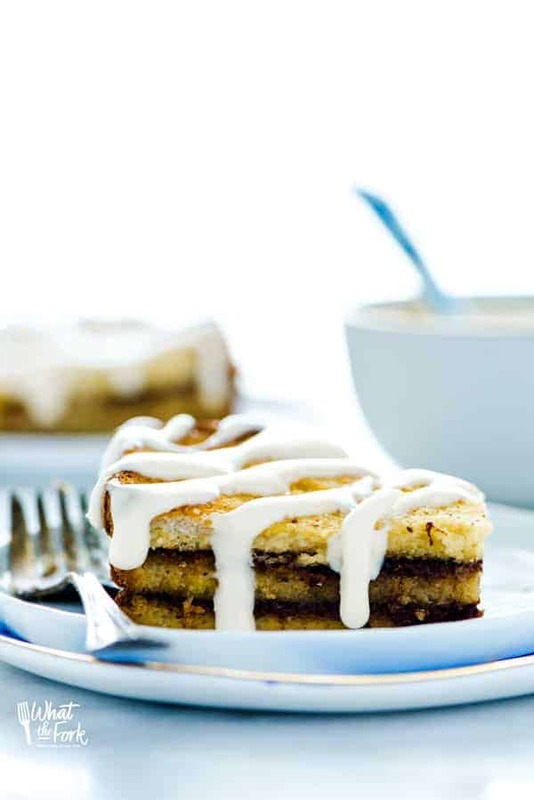 I topped my Cinnamon Swirl Overnight French Toast Casserole with a little drizzle of cream cheese icing. 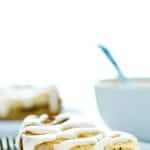 The cream cheese icing and cinnamon swirl combo makes this taste like cinnamon rolls without the work. The icing is optional but definitely worth the extra baby step. 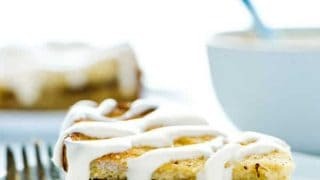 If you’re making this casserole dairy free, there is a dairy free version of the icing in my Gluten Free Cinnamon Sticks recipe. I also like to serve this with a tiny bit of pure maple syrup (how could I not?) and some fresh fruit or a fruit salad. You guys, this is truly a great gluten free breakfast or brunch recipe made EASY enough for week days but special enough for holidays. Enjoy! 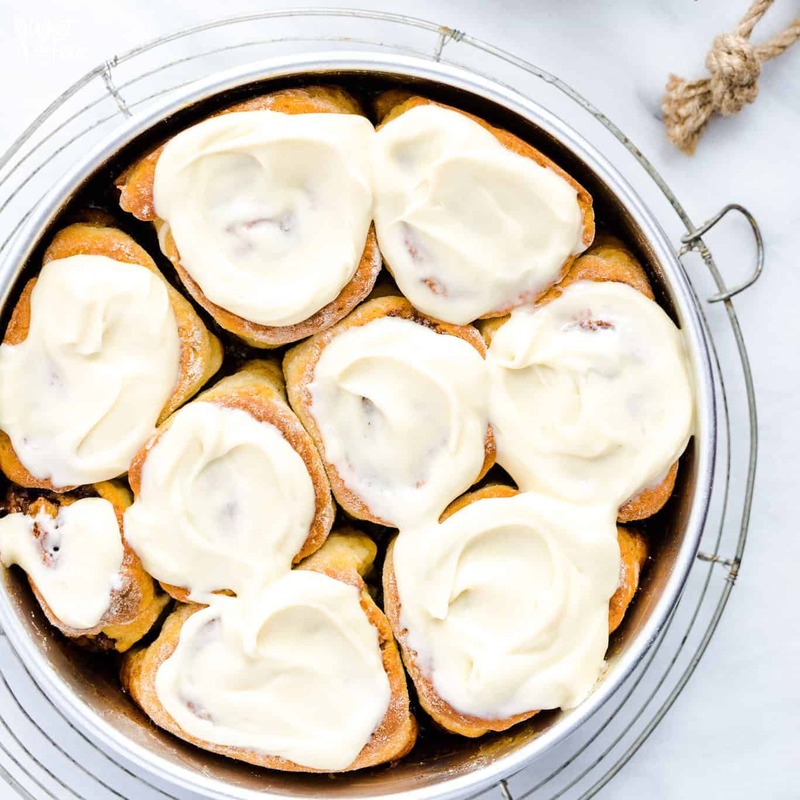 An easy, make ahead Overnight French Toast Casserole recipe made with gorgeous layers of gluten free bread and cinnamon swirls then topped with cream cheese icing. It's perfect for brunch year-round! To make the filling, stir together the light brown sugar, cinnamon, and melted butter until combined. Set aside. Grease or butter a 9x13 inch dish. Place a single layer of bread on the bottom of the dish. Mine fit 4 whole pieces and 1 piece broken in half to fit. Spread half of the cinnamon mixture over the bread, making sure to spread it all the way to the edges covering the bread evenly. Add a second layer of bread then spread the remaining cinnamon mixture over the top then add the final layer of bread. To make the custard, whisk together the eggs, milk, half & half, granulated sugar, vanilla extract, salt, and nutmeg until completely combined. Pour all of the custard slowly over the top of the bread, trying to get some custard over each top piece. Gently press down on the top layer of bread to help it soak up the custard mixture. Cover the dish tightly with plastic wrap then refrigerate overnight. When ready to bake, preheat oven to 350 degrees and let the casserole sit at room temperature while the oven is preheating. Sprinkle the top of the casserole with raw sugar, if desired. Bake for 40-50 minutes or until the top is golden brown and the cinnamon is bubbling on the sides. While the casserole is baking, make the icing. Use an electric mixer to beat together the cream cheese and butter until smooth. Add the powdered sugar, vanilla extract, and 2 tablespoons of milk. Beat until smooth and creamy. Stir in additional milk for a thinner icing for drizzling or serve as is to spread over individual slices of the casserole. 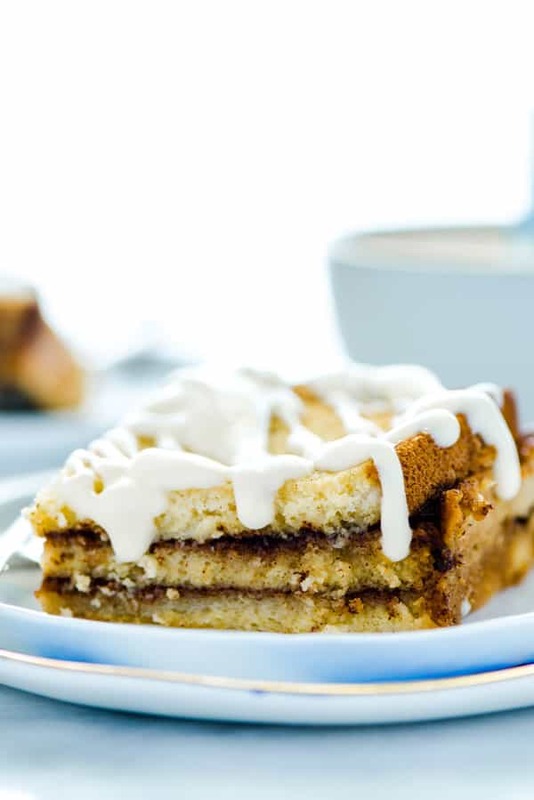 Serve the Overnight French Toast Casserole hot/warm with cream cheese icing. I use Udi’s larger slices for this bread from the 24 oz. package. If your loaf is frozen, defrost 24 hours before using. For dairy free, use unsweetened coconut milk in place of the milk and half and half. Use the dairy-free cream cheese icing found here. Leftover casserole should be refrigerated and reheated before serving. You can also slice it into individual pieces to freeze. Did you make this recipe? Leave a star rating and let me know in the comments! You can also leave a photo/comment on this pin for others to see. 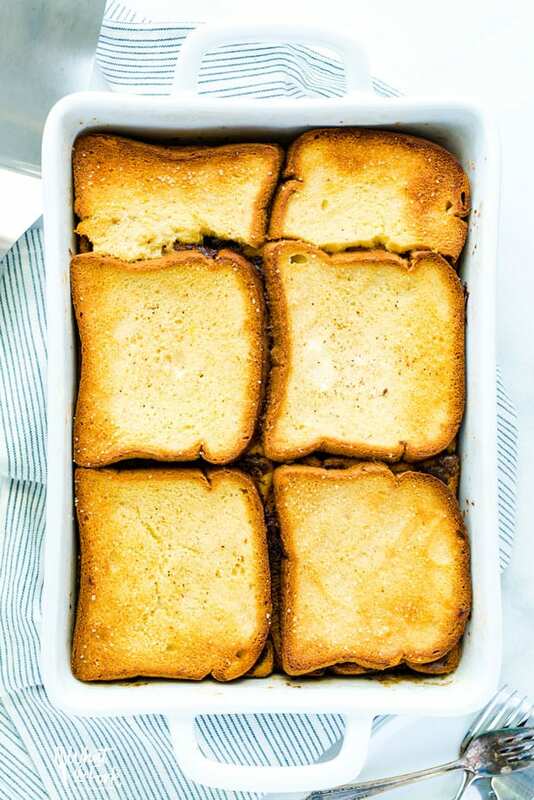 I’ve always wanted to make a french toast casserole, yours look sooo yummy and perfect! 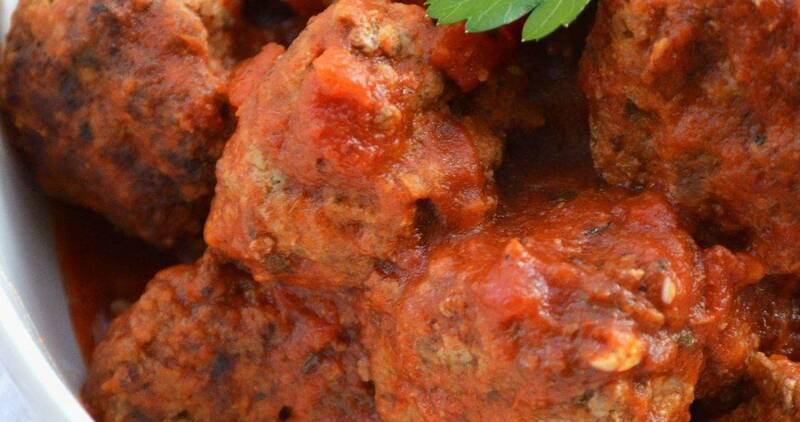 I love the simplicity of this recipe and that it can feed a crowd. Perfect for the upcoming holidays with family. This also seems like a great thing to have available as a treat during the work/school week. I love the way the layering looks as opposed to cubing. This looks like the perfect breakfast for busy mornings. Plus, it’s cinnamon! This looks mouthwateringly delicious! Well done! 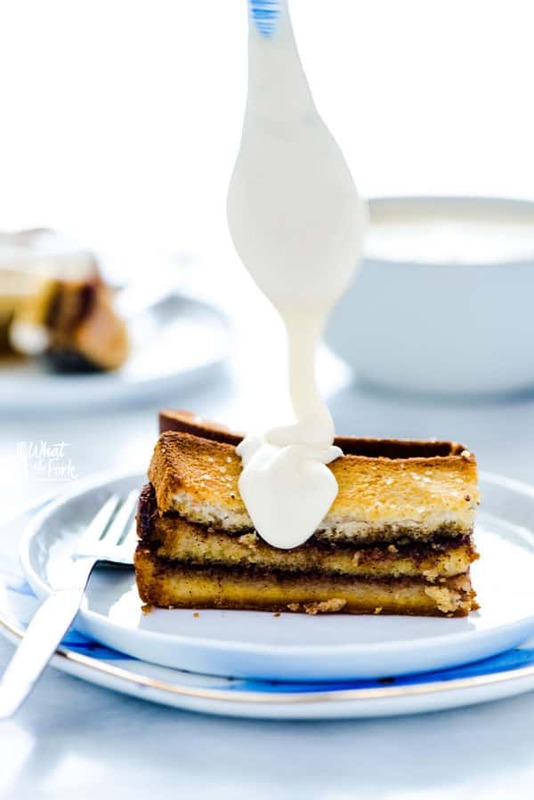 I’ve honestly never seen a french toast casserole layered like this – how fun! It looks almost too easy too. I’m in Australia. So what do u mean with half and half so I can make French toast casserole like u maded. I can’t remember that means in Australia as we don’t say half and half unless half and half water and milk please help me what u mean by it (half and half). It really looks great and it well taste great too just need to know what is meaning of 1/2 & 1/2 is OK.
Hi Teresa, half and half is half cream half milk here in the states. Hope that helps! 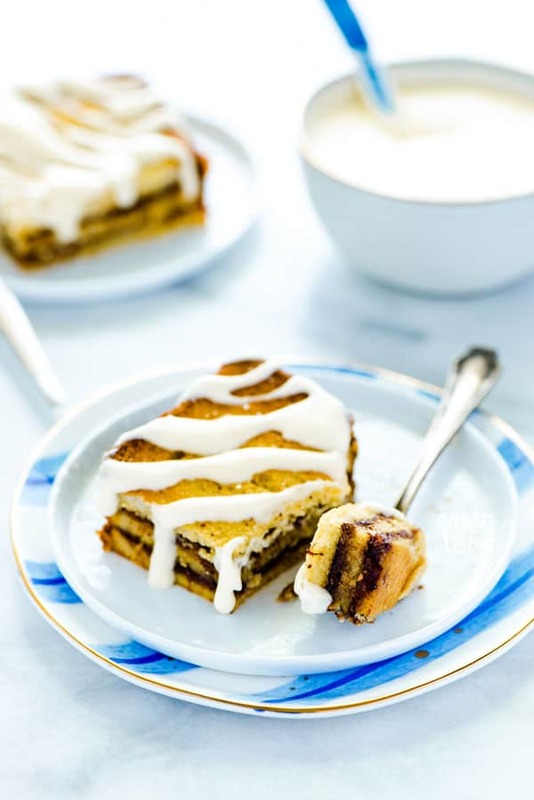 This is like a ridiculously easy way to enjoy cinnamon rolls! We always have some Udi’s bread so we’ll have to make this for a weekend brunch!